I decided to make Easter dresses for my girls this year. 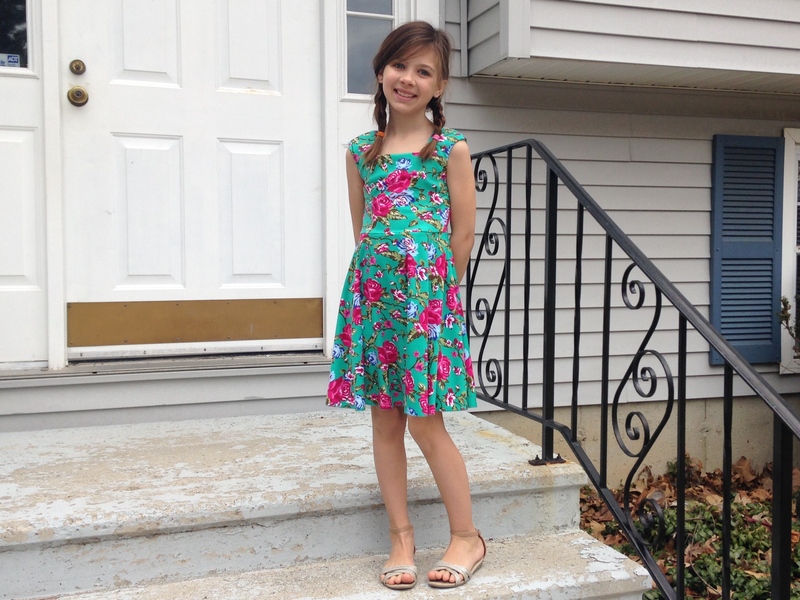 I have to say, it is pretty nice having three girls to sew up pretty dresses for… keeps me from making myself a bunch of dresses I don’t need. I had a hard time finding good springtime cottons, despite searching my local haunts. 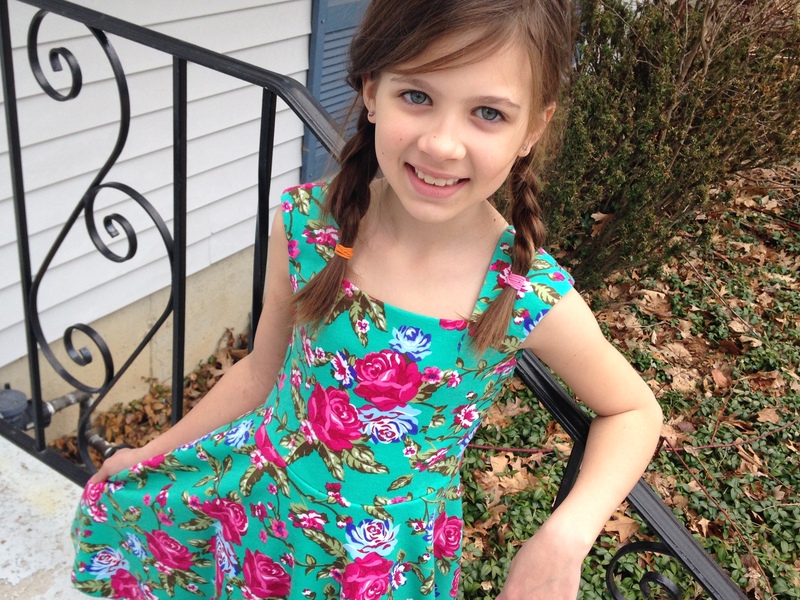 It seems these fabrics don’t always show up in stores early enough for me to plan for Easter sewing. I could have ordered online, but eh. Shipping costs are such a buzzkill. I ended up buying a high quality ponte from Fabric Basement. This print was perfect for daughter number 2, Sylvia. She immediately fell for this fabric, and demanded it be hers. Okay, child, yours it shall be. 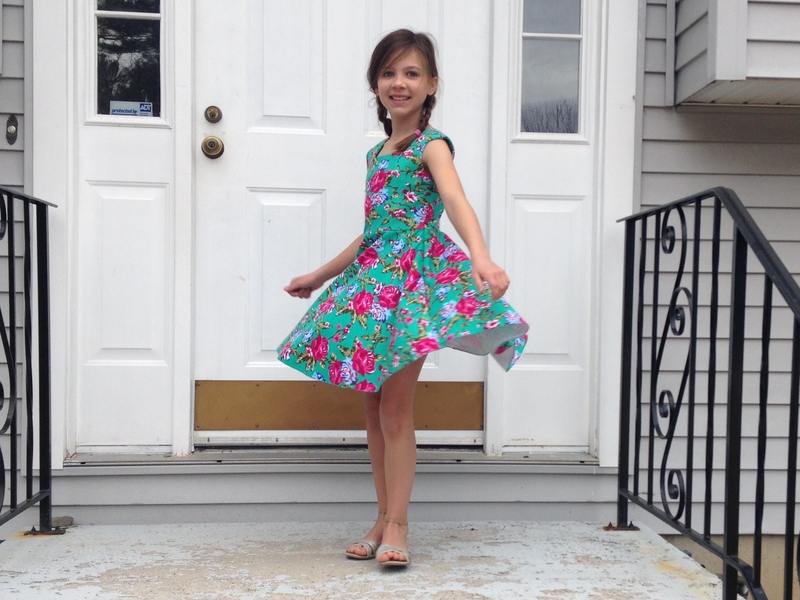 I wanted to make her something more special than the typical skater dress, so I decided to try Burda 07/2014 #136. 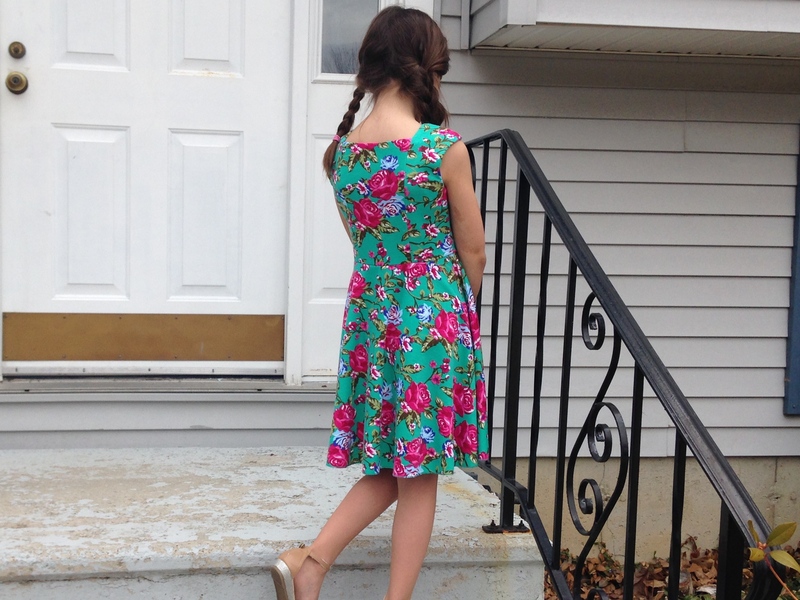 I love how the princess seams go straight into the straps, which have a slight cap sleeve. I ditched the sweetheart neckline and adjusted it to be straight-ish (it actually has a slight curve). I drafted a 3/4 circle skirt because she likes twirly, and a gathered skirt would be far too bulky and heavy. 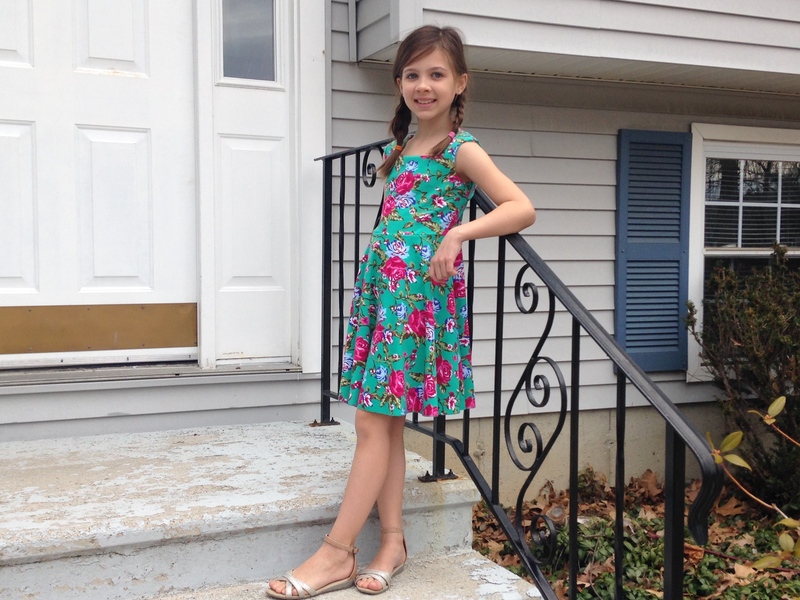 I measured the skirt length of a dress in her closet and drafted accordingly, but we had not yet gone to her annual doctors appointment where I found out that she grew 3″ in the past year (whut?!) so… oops. To preserve all the length I did a simple 3-thread (no stitch finger) serged finish on the edge. I think this ended up being a good thing because the ponte probably wouldn’t have hemmed nicely with such a rounded hem anyways. Even though this is a knit dress, I did all the construction on my sewing machine. The fabric is really too thick for the serger, plus I wouldn’t have had the control and precision needed to navigate the neckline. I also kept the invisible side zip to make sure the waistline didn’t get strained and risk popping stitches. I am so happy with how this dress came out! It’s feminine while still giving her the comfort to move around and not feel restricted. FYI, Burda also has a women’s version of this pattern—um, yes, please!